KPM, Berlin 1775 - 1780. Porzellan, polychrom bemalt. Naturalistisch ausgeformte Weinblätter in grün, mit purpurfarbenen Rippen und Randlinien. Unterglasurblaue Zeptermarke, Pressnr. «30». Min. ber. Kl. Brandflecken. H. 21,5, B. 18 cm. 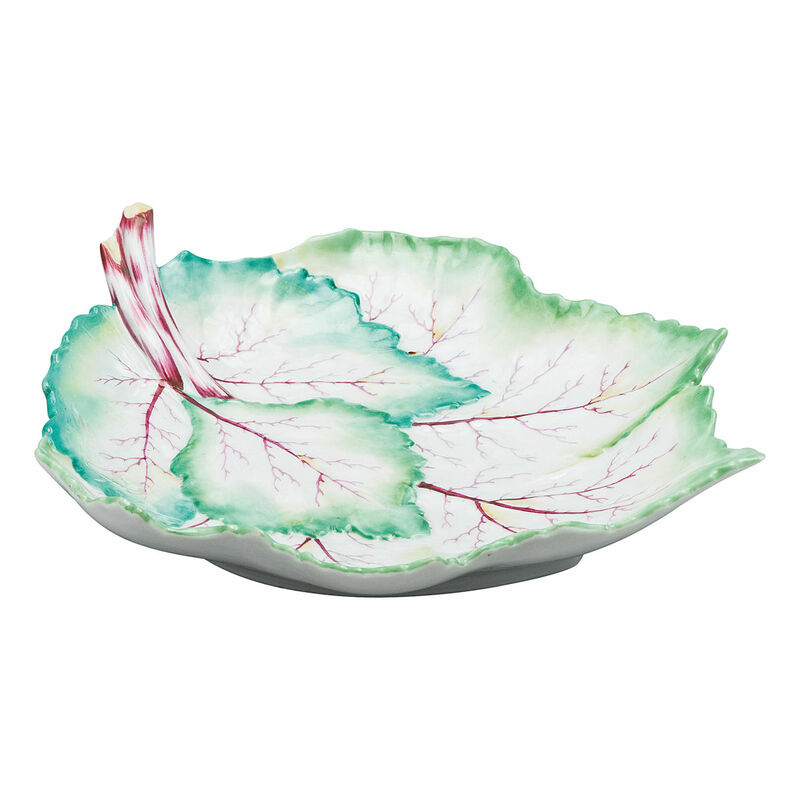 Relief vine leaf dish. KPM, Berlin 1775 - 1780. Porcelain, painted in polychrome colours. 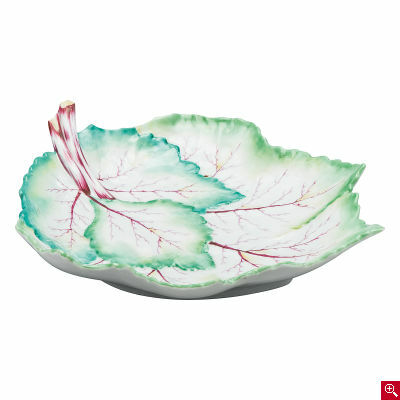 Naturalistically shaped vine leaves in green, with purple leaf veins and rim lines. Underglaze blue sceptre mark, press number «30». Slightly rubbed. Small burn marks. H 21,5, W 18 cm.